Courtesy of HER, Realtors 614-451-7400, Laura A Stuckey 614-273-7759. 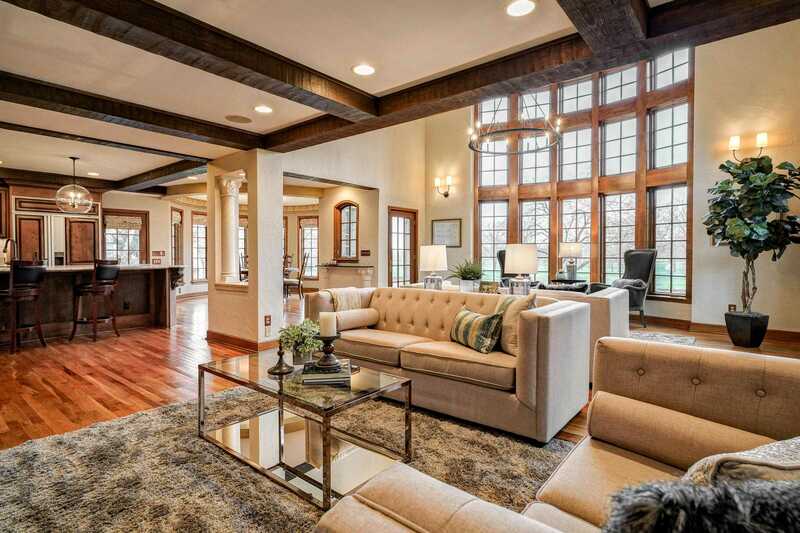 ”Roaring Twenties” Scioto Country Club estate perched on the high ground with exquisite golf course and sunset views! This ”European Revival” stone home with tile roof and copper awnings/gutters sits on the corner of two of Arlington’s most coveted streets. It has 5 bedrooms, 4 full baths, 4 half-baths, and 4 indoor fireplaces. It is perfect for entertaining with a spacious two-story windowed great room and a ground floor ”speakeasy” with terrazzo floors, antique Brunswick Jewel pool table/cue rack, and matching bar capped off with a VIP lounge and ”Oscar-worthy” sunken tiered theatre. Exterior living is enhanced with a covered stone portico, plunge pool/spa, multiple decks, two fireplaces, two fountains, and a paver/bluestone semi-circular driveway. Seller is a licensed agent. Please, send me more information on this property: MLS# 219011198 – $3,292,285 – 2285 Yorkshire Road, Columbus, OH 43221. I would like to schedule a private showing for this property: MLS# 219011198 – $3,292,285 – 2285 Yorkshire Road, Columbus, OH 43221.